Three decades ago, two Crow Indian brothers ran away from home and no one knew why. Their sudden and mysterious deaths sent shockwaves through a tiny upstate New York community. 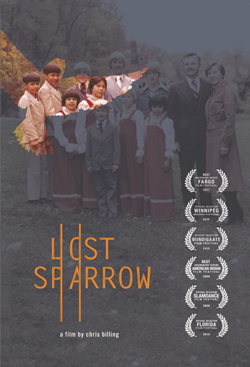 Lost Sparrow is their adoptive brother’s journey to bring Bobby and Tyler home and confront a painful truth that shattered his family. The film aired in November, 2010 on the Emmy Award-winning PBS series Independent Lens. Featured on NPR’s nationally-broadcast news program Tell Me More with Michel Martin. syndicated radio program Native America Calling.